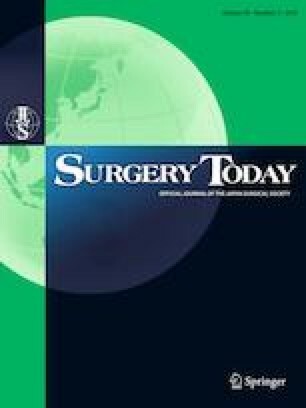 This study aimed to explore the effect of increased body mass index (BMI) values (overweight: BMI ≥ 25–30 kg/m2; obese: BMI ≥ 30 kg/m2) on surgical outcomes after radical resection for low rectal cancer (LRC). Patients with LRC who underwent radical surgery from January 2009 to December 2013 were included. The patients were divided into three groups according to their BMI values (control group: BMI < 25 kg/m2; overweight group: BMI 25 to < 30 kg/m2; obese group: BMI ≥ 30 kg/m2). The patients’ clinicopathological characteristics and survival data were collected and analyzed. A total of 792 patients were enrolled in this study finally (control, n = 624; overweight, n = 147; obese, n = 21). The baseline characteristics of the three groups were similar. We found that an increased BMI was associated with a longer operative time (P < 0.001) and length of postoperative hospital stay (P = 0.032). Patients with increased BMI values had a significantly higher incidence of postoperative complications, including pulmonary infection (P = 0.008), anastomotic leakage (P = 0.029), allergy (P = 0.017) and incisional hernia (P = 0.045). The limited data showed that the pathological outcomes of the three groups did not differ to a statistically significant extent. A multivariate analysis showed that increased BMI was not associated with poorer OS or DFS. In LRC resection, an increased BMI was associated with a longer operative time, postoperative hospital stay, and an increased number of postoperative complications. However, it did not contribute to poorer pathological or survival outcomes. Xubing Zhang and Qingbin Wu contributed equally to this work. This work was supported by the Science and Technology Support Program of the Science and Technology Department of Sichuan Province (Grant numbers: 2016SZ0043). The authors declare no conflicts of interest in association with the present study.